Najib Razak, the former prime minister of Malaysia who was ousted in an election two months ago, was charged by anti-corruption officials. His arrest involves a fraud of over $ 4.5 billion diverted from a state investment fund. He was charged with three counts of criminal breach of trust and one count of corruption. He pleaded not guilty on all counts and was bailed. 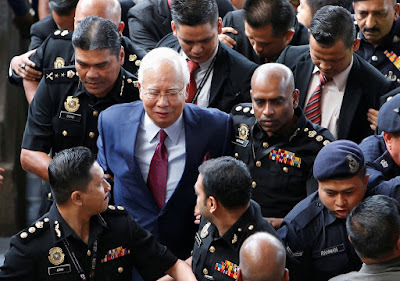 Sitting at the top of a political machine that had governed Malaysia since its independence in 1957, Najib and his cronies used political influence, cash bribes and news media repression to keep corruption accusations at bay for years. His successor as prime minister, Mahathir Mohamad, campaigned on bringing Mr. Najib to justice. 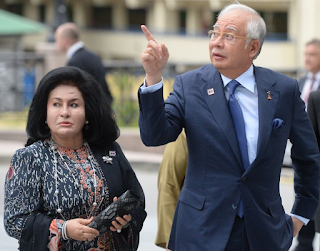 After his inauguration, officials quickly moved to block Najib and his free spending wife, Rosmah Mansor, from leaving the country. American prosecutors have accused Najib of diverting some $731 million stolen from the state investment fund into his personal bank account. 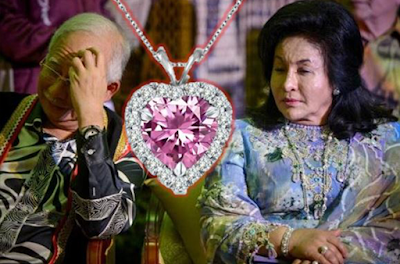 Money siphoned from the fund, known as 1MDB, was then spent on luxury goods, such as a $27.3 million pink diamond necklace that was worn by Rosmah Mansor.